Beloved husband, father, grandfather, brother and friend, Albert F. Lynch, Jr., passed away at Stamford Hospital on December 27, 2018 following an unexpected complication of idiopathic pulmonary fibrosis. He was brave throughout his life and especially during his illness and was and is our family's biggest role model and supporter. Born on November 7, 1940, Al was the son of Albert F. Lynch and Margaret Maloney Lynch. Al grew up in Natick, MA and graduated from Natick High School. 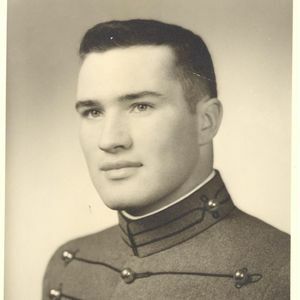 He played offensive guard for Natick High School and continued to play at the United Military Academy (West Point), from where he graduated in 1962. After college, he served in US Army, served one term in Vietnam and attained the rank of Captain. He received two bronze stars in combat. He then attended Columbia University Business School and graduated in 1968. Al married Bernadette Marie Stanton on February 15, 1969 and together they raised two children in Darien where they lived for 46 years. Al had a long career as a CPA, a consulting executive, and later, a managing director of several NYC law firms. He started his career at Arthur Young, where he became a partner in 1977. He left Arthur Young to manage the business affairs of several large law firms. He recently retired as Managing Director of Curtis, Mallet-Prevost, Colt & Mosle LLP, a law firm with headquarters in NYC and offices around the world. Al was a member of the Country Club of Darien for almost 40 years where he enjoyed playing golf with his family. He also loved traveling and seeing the world far and wide. He was always looking forward to his next trip. He traveled all over Asia and Europe and parts of the Middle East for work or pleasure. In 1976-77, he spent a year in Greece working on a consulting project. He loved to go to Italy and France on vacation. Al is survived by his wife of 49 years, Bernadette, his daughter Melissa Davidson and her husband Tom, and daughter Meghan Lynch. A great joy in his life were his three grandchildren, Christian, Caitlin and Charlotte Davidson with whom he enjoyed golfing, Yankees games and all kinds of movies and Broadway shows. He loved swimming and seeing his grandkids at his pool. He is also survived by his sister, Ellen Lapinski of Chatham, MA, a niece, Meg Fleming of West Barnstable, MA, and two nephews, Ron Lapinski of Elkridge, MD, and Jim Lapinski of Newtown, CT. He also loved his dog, Jack, a 13 year-old black lab who was the most loyal dog in the world. Visiting hours for Al will be held on Wednesday, January 2 from 5-7pm at Lawrence Funeral Home 2119 Boston Post Road in Darien. Mass of Christian Burial will take place on Thursday January 3 at 10:30AM at St. John RC Church 1986 Boston Post Road Darien. Burial will follow at Spring Grove Cemetery in Darien with full Military Honors. In lieu of flowers, please consider making a donation to the Pulmonary Fibrosis Foundation, 230 East Ohio Street, Suite 500, Chicago, IL 60611 or a charity of your choice. Create An Online Memorial For Albert F. Lynch, Jr.